SMS (of 160 characters or less) breaking up automatically into three messages in browser display! I'm having exactly the same problem. I have no idea whether the recipients see broken text messages, or whether they get reassembled. In any case, this seemed to work until I changed to a different SMS app on my phone (SimplySMS). I am using a Sony Xperia Z1 Compact running Android 4.4.4. The text messaging app I'm using is Textra v2.20, on a LG G3 phone running Android 4.4.2. 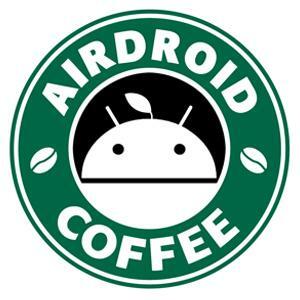 AirDroid APK v3.0.2, and I have no idea what version the web client is because it doesn't tell me. 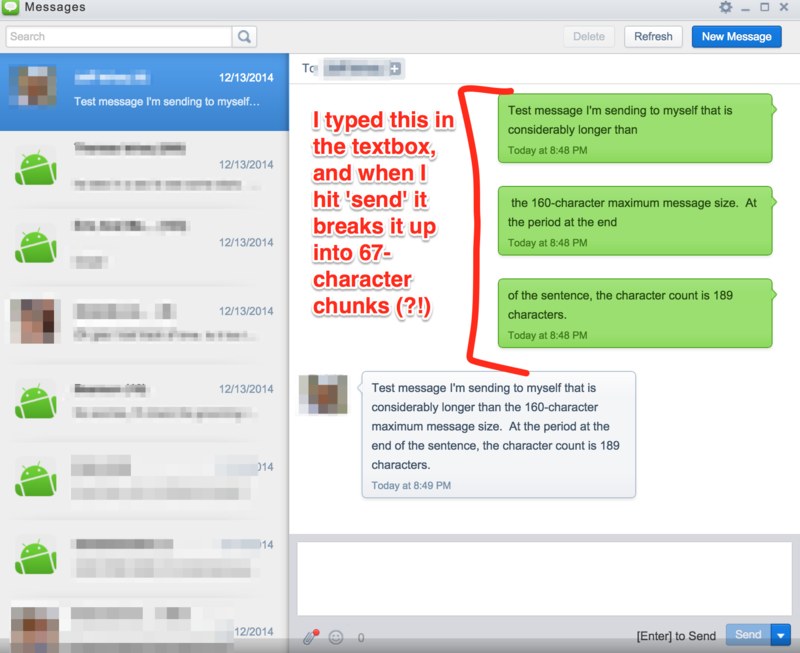 Re: SMS (of 160 characters or less) breaking up automatically into three messages in browser display! I'm asking, beacuse I have the same problem noticed on my Samsug S III Neo. I checked it - message is diivided to "67 characters" parts. But as I know, recipients see normal text message (in one "package"). Sorry that long SMS will split into several parts on your side if you are using Android 4.4.x. But the recipient will receive it as a whole long message. As Google has changed the mechanism of Android, if your phone is running Android 4.4+, a long text message will be split into several parts on your side while the recipient receives one whole message. We did try to find a workaround to this problem, but due to technical limitations, we didn’t find a perfect solution. However, we’ll keep on searching for a fix.